Athens (AFP) – Greece must wrap up its review of economic reforms “before the end of the year” in order to exit its huge bailout “cleanly”, the head of a group of Eurozone finance ministers said Monday. Following talks with Greek government leaders in Athens, Dutch finance minister and Eurogroup chairman Jeroen Dijsselbloem said “we share a strong joint commitment to rapidly conclude the review before the end of the year”. Greece has received two multi-billion euro bailouts since 2010. The third rescue programme, currently financially supported by EU states alone, runs to August 2018 and Athens then hopes to fully return to market financing. “It’s feasible and should be done,” Dijsselbloem said after meeting Greek Prime Minister Alexis Tsipras and finance minister Euclid Tsakalotos. In order to get the green light from its creditors to release the agreed loans, Greece is expected to fulfil 95 committments by December, including reforms to the civil service and social benefits, measures to free the energy market, and an acceleration of privatisation. Without discounting the constant “problems and difficulties” which have arisen in the negotiations between his country and its creditors, Tsakalotos said he was convinced that a common ground will be found. His Dutch counterpart stressed that “confidence has returned” in Greece and abroad on the prospects for recovery. His visit coincided with the formal closure of the EU’s disciplinary procedures against Greece, which started in 2009. Two years after Tsipras’s leftist government nearly crashed Greece out of the euro, and eight years after the country plunged into economic crisis, employment numbers are finally improving. 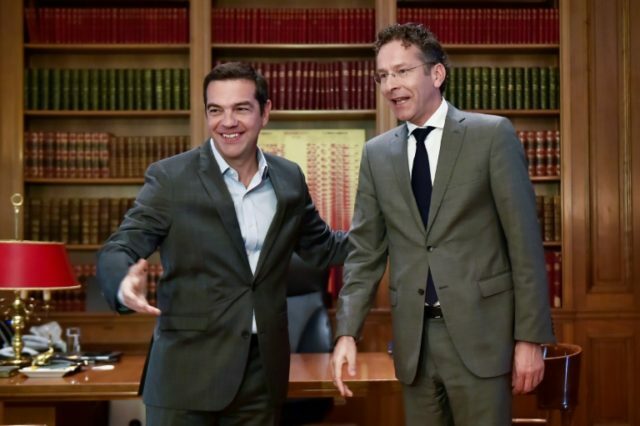 Dijsselbloem stressed that the country was coming back from a distance, joking about the “good memories” that he had of the “historic room” of the finance ministry where he was speaking. He also estimated the outcome of the German elections will not affect the progress of the bailout process. “My best guess is that the German position will not change,” he said.